Chicken and Apple salad with mixed greens and spinach. 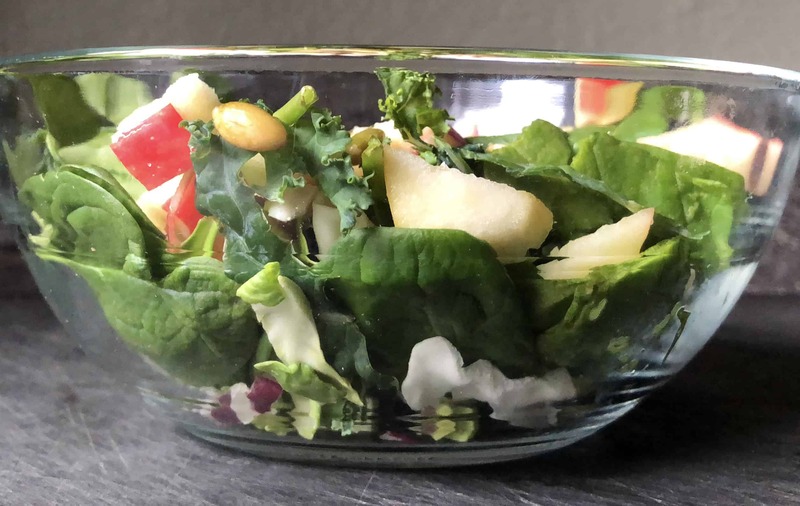 3 tbsp Gorji Gourmet Pomegranate Vinaigrette. 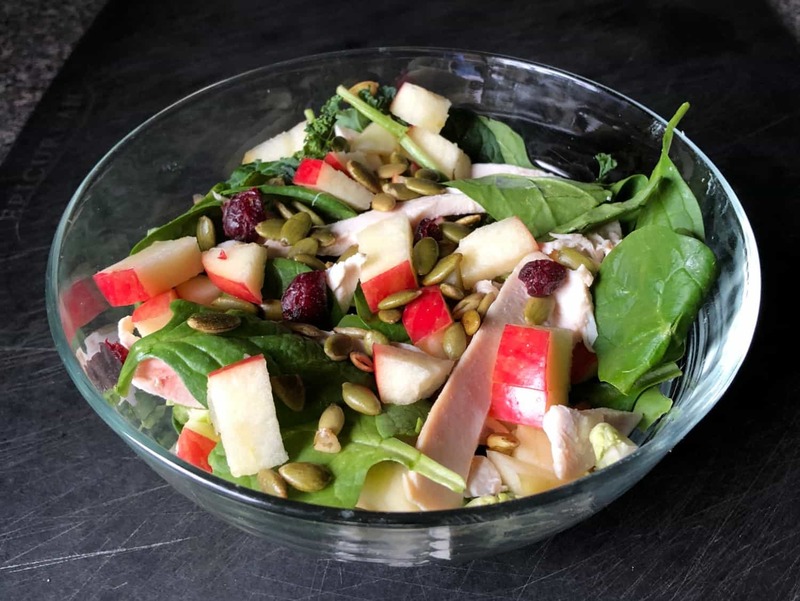 Combine spinach and mixed greens with sliced chicken breast and diced apples. Top with sunflower seeds and dried cranberries. Dress with Gorji Gourmet Pomegranate Vinaigrette. No Replies to "Chicken & Apple Salad - Pomegranate Vinaigrette"